0 Comments Published by Matt on Tuesday, January 30, 2007 at 2:19 PM. Nerds Rejoice! 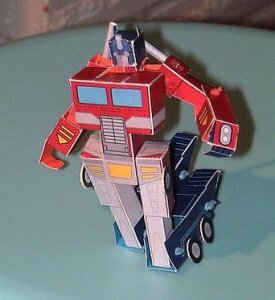 Now you can download and assemble your own fully transformable paper Optimus Prime transformer. Sweeeeeet nerd joy.